We have finally seen Star Trek Online, and while they shared a lot of good information, I don’t think they showed nearly enough gameplay footage. Before we get into the details, I have to say that I am encouraged by the amount of knowledge Cryptic showed about setting and types of stories that are told in the Star Trek series, but the arrogance of the team and the fact that they brought up the nerfing of characters in their first release of gameplay footage worries me. Grant it, the comments where made in jest, but I am uncomfortable with any developer talking about who to blame for messing up a game while that game is still in development. I can only hope they will stay true to the vision they laid out and not sacrifice the setting and the story in a vain grasp for popular appeal. Cryptic made it mandatory for all of the developers to watch at least one entire series of Star Trek. They are mining the series and the books to provide detail to the setting as well as inspiration to guide gameplay systems. 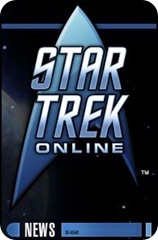 Star Trek Online is being built on the Champions Online (available in April) game engine. As soon as they got the license, they began building content and in-game systems. Once Champions Online comes out we will have a better idea whether this is a blessing or a curse. Star Trek Online will take place after the events of Star Trek Nemesis. Relations with the Klingons are breaking down, and the Federation is in a state of turmoil. The developers are using the books and series for setting information, especially for information regarding the state of the galaxy after the film. The films and series are considered hard canon, while the books are considered soft canon. Cryptic will not have a Linux or Mac version on first release , but left the window open for future version. They are planning to release the game in less than three years. The animations in the game are going to be hand drawn rather than relying on motion capture. Having played City of Heroes/City of Villains, I am encourage by this. Any company that can make superheroes look and act naturally in the setting should not have much trouble with aliens and starships. The game will be playable on as may computers as possible so, like World of Warcraft, it will be playable on laptops as well as towers without requiring an expensive overhaul of your gaming system. Every player will be the captain of their own ship. Play as one of the classic races or create your own with what was described as a City of Heroes style character designer which will give the player many customizable features. Captains will have a specialty: science, tactical, navigation, diplomacy, or medical. Gameplay will be squad based. Each captain will recruit NPC staff they will bring with them on away missions with their own skills and talents. They will effect away missions, and possibly even the ships stats. Control over the away teams will be more like City of Villains than City of Heroes where the captain will be able to issue orders and have them carried out. Players will be able to recruit staff from the races they encounter. 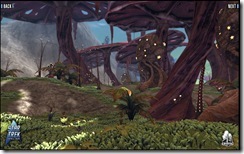 Star Trek Online will not be a level based MMO. The abilities will be determined by the crew and new ships will be earned as a character gains renown. The exteriors and interiors of Ships will be customizable. Within the parameters of the ships class, each vessel will be customizable. Even the bridge, engineering sections, medical, and holodecks. I wish they would have said more about the holodecks. Star Fleet or the Klingon High Council will issued players tours of duty. In the way this was described, it sounds like you might also receive random distress calls as well as making first contact with randomly generated races. The Borg or the Tholians will randomly invade. I presume this will be handled like a Rikti in City of Heroes. I hope they do not make these noncombat missions into nothing more than running around clicking on things. The possibilities are endless if they take advantage of them. Star Trek Online will not be a PVP centric game. At launch, PVP will be between the Klingons and the Federation. Cryptic hopes have the game take place on a single server so everyone will play in the same world. I hope to get into the beta, and I wonder if we should start recruiting for the fleet now.